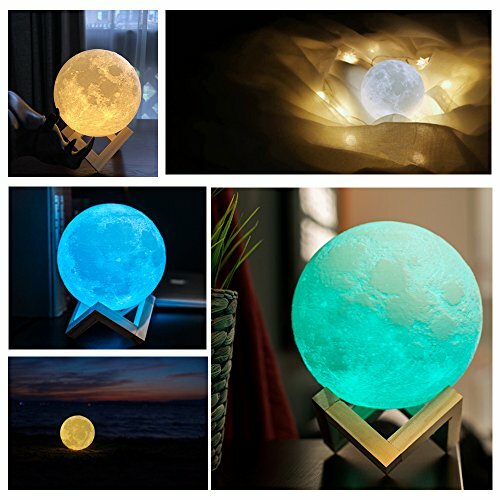 UPGRADED BATTERY AND LAST LONG - Improved built-in battery allows the lunar moon light to lit 4-20 hours (Lighting time varies according to the brightness you choose) by simply 2 hours full charging. 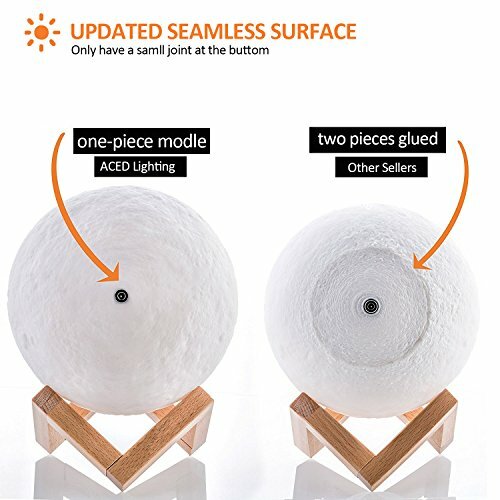 Standard USB charging port for PC, charger and mobile devices, etc. 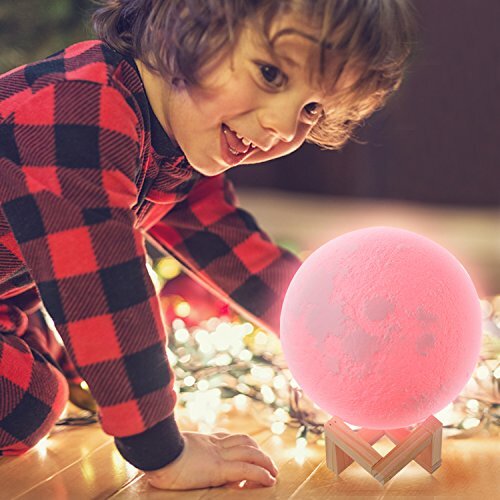 REALISTIC MOON APPEARANCE- The enchating moon lamp uses data from NASA's satellite and the 3D printing technology to restore the real surface of the lunar moon vividly. 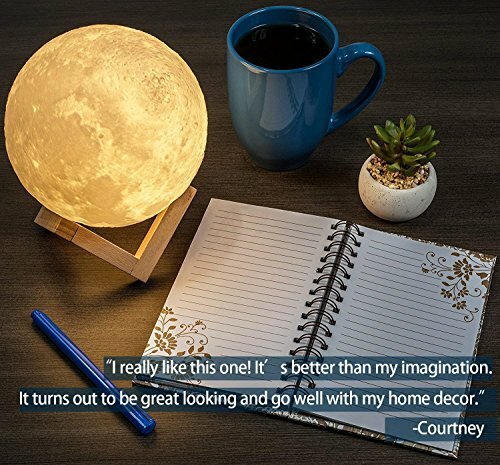 Looks just like a true moon in your room. UPDATED SURFACE: Most moon lights have a large joint at the bottom. You can see adhesion trace obviously. 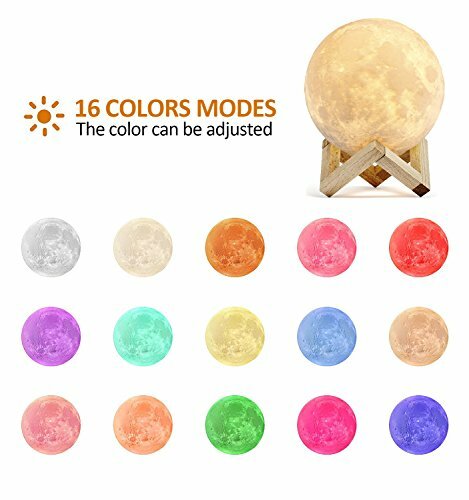 Our updated lamp uses one-piece mold technology, combine the moon lampshade and led light source perfectly, greatly improved the appearance. 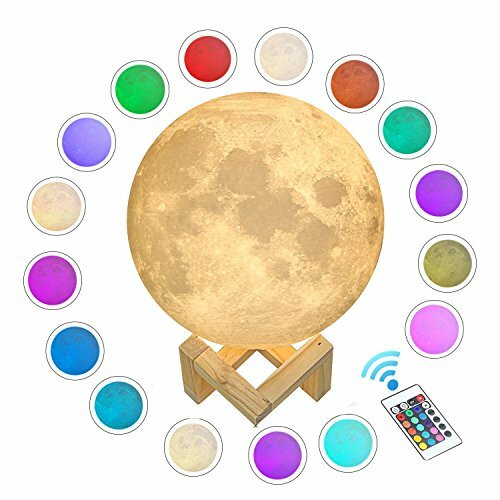 REMOTE AND TOUCH CONTROL - The moon light has 16 RGB colors. 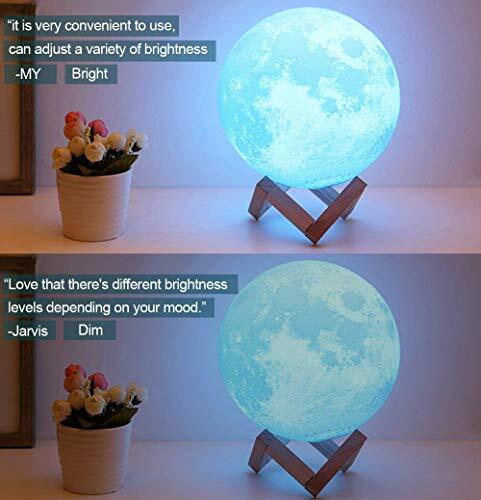 Tap the smart button to turn on/off the lamp and change color. Use the remote control to change the color or also the brightness of the color. CUSTOMER GUARANTEE - Our ACED Lighting guarantee REFUND or REPLACEMENT of defective items. If you received defective products or there was any peoblem about item quality, do not hesitate to contact us. 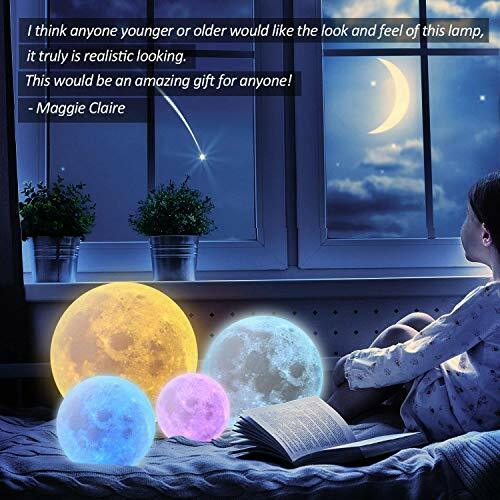 It is our intention to offer the BEST item and customer service on Amazon.